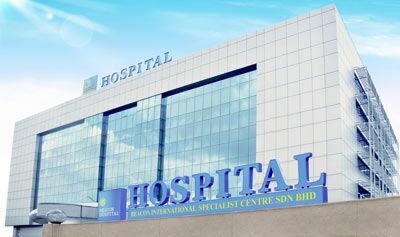 The annual mortality rate per 100,000 people from testicular cancer in Malaysia has increased by 10.8% since 1990, an average of 0.5% a year. Testicular cancer is the most common type of cancer affecting men between the ages of 15 and 35 years old–but it can strike any male, any time. This cancer is more common in males aged 65 years or above. Generally speaking, this cancer is rapidly dividing type of cancer, affecting males in earlier age. For all cases of testicular cancer the overall 5-year survival rate is 95% but the key is early detection. Young men between the ages of 15-35 are at the highest risk for testicular cancer. However, it can occur in men of any age. Having a father, brother or uncle with testicular cancer may slightly increase one’s risk of developing testicular cancer. Your physician will examine your testicles by gently rolling them between two fingers and thumb to identify any abnormal lumps. Your physician may also check your groin area, abdomen, armpits and neck to look for swollen lymph nodes. The doctor may also exam you for breast tenderness or enlargement and listen to your lungs. Scrotal ultrasound is a painless non-invasive procedure in which high frequency sound waves are used to produce images of inside the scrotum and testicles. It is the same technology that is used in pregnant women when they get a sonogram. The images will show if there are any solid masses, swelling or fluid collections within the scrotum. Testicular cancer is highly treatable especially if caught early. With early detection treatments are more effective and often less aggressive than when the cancer is detected in the later stages. Treatments include surgery, radiation therapy and/or chemotherapy. The treatments depend on the type and stage of the testicular cancer as well individual preferences. Chemotherapy is often used to cure testicular cancer when it has spread outside the testicle or to decrease the risk of cancer coming back after the testicle is removed. 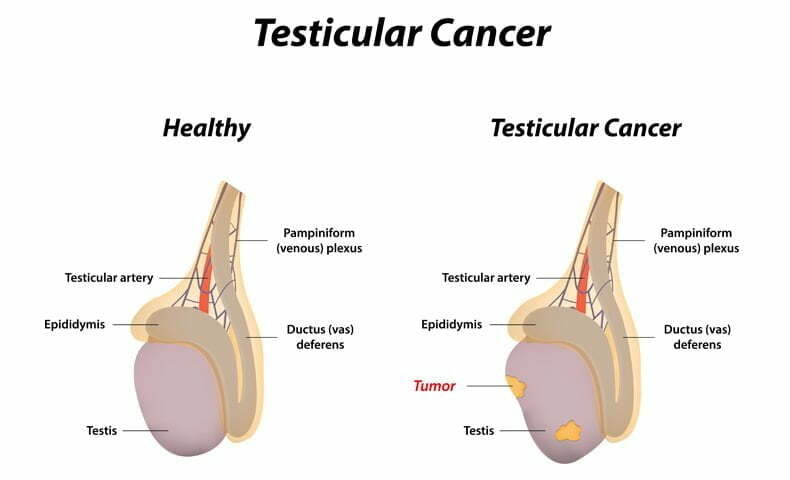 It is not used to treat cancer that is only in the testicle. Doctors give chemotherapy in cycles, with each period of treatment followed by a rest period to allow the body time to recover. Chemo cycles generally last about 3 to 4 weeks.